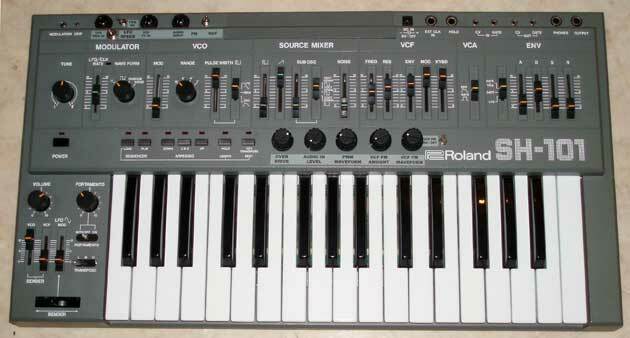 I noticed on ebay a few weeks ago that a Roland SH-101 synth sold for just over £500! Hmmm, I thought, I happen to have one of those in my cupboard. It had been packed away since about 1997. 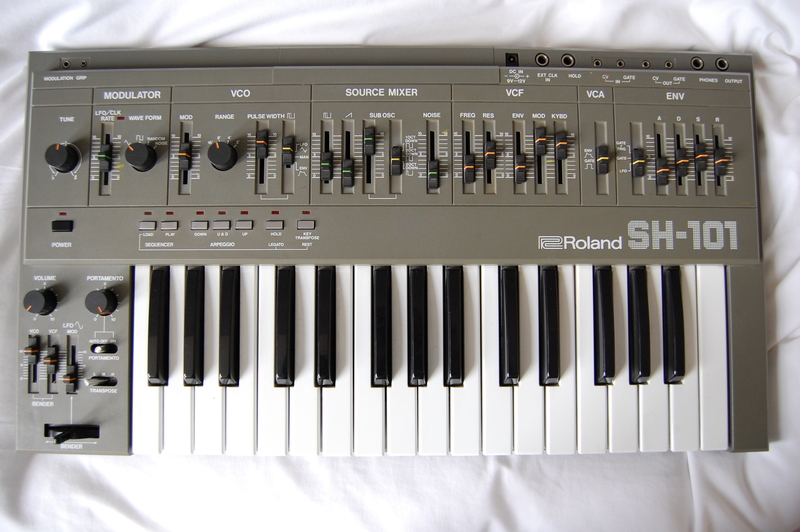 I really love my old SH-101 – it has been with me since the mid 80’s – so selling it would be like selling my soul to the devil right? It turned out to be the most popular auction I have ever had on ebay with over a hundred watchers during the auction period & the bidding reaching the dizzy heights of the £500 mark. Sold to a guy in New York. So, farewell trustee old SH101 – enjoy your new owner & life. Ahhh DCC – yet another Betamax moment in the history of media formats – sadly it never did catch on! It was basically the poor man’s DAT recorder. Far more cost effective, it was also able to playback analogue cassettes too which was very handy in 1995. In order to squish high quality digital audio onto cassette tape travelling at 1.75 ips, the DCC730 used an early audio compression technology (like the MP3 we use today) called PASC. At the Garage we used the DCC730 mainly for audio backup & archiving. 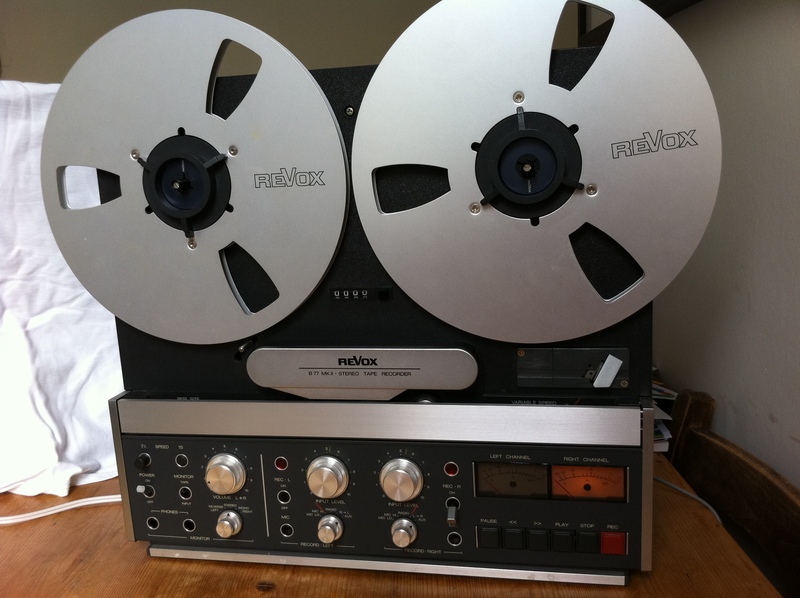 This Revox B77 (Mark 2) was used for recording and editing our masters. And yes, I did say editing! The B77 is one item that I kept stashed away knowing that one day I would need to digitize 11 years of quarter inch recordings! So, very recently I dug out the B77 from my loft plus the many reels of quarter inch tape stashed away with it, and got to work transferring them to my laptop. Apart from a couple of snapped toggle switches & a dead light bulb in the left record meter, the B77 was in full working order even after all this time. However, no soon after I started on the first reel, I discovered a phenomena called sticky-shed syndrome. In a nutshell, this where the binding material in the tape has deteriorated making it feel sticky. Some tapes are affected more than others depending on the binding chemicals chosen by the manufacturer. All my quarter inch tapes are Ampex 456 & they have clearly suffered from this problem. The effect of this syndrome is such that the tape “peels” away from the tape next to it, rather than effortlessly separating, causing friction and potential stretching & damage to the tape surface. With the benefit of hindsight, I should have carried out this exercise about 10 years ago! However, using isopropyl alcohol I was able to minimize this stickiness & recover most of the recordings with one or two passes. I did this by carefully sandwiching the tape between two alcohol soaked cotton wool balls as the tape rewound. I also had to frequently clean the transport to remove the material that was being “shed”. There was only one recording I couldn’t recover, Madeline by Graham Layden – the full orchestral mix. Such as pity as I love the string arrangement on that track. Anyone got a copy?